The Storyteller and Her Sisters – Cover Reveal! I’ve been promising the companion novel to The Wanderers will be out this fall–and so far I’m still slated for an October release. While I work on final revisions for The Storyteller and Her Sisters, I also put some time towards a cover…and naturally I wanted to give the first view to my lovely blog readers! 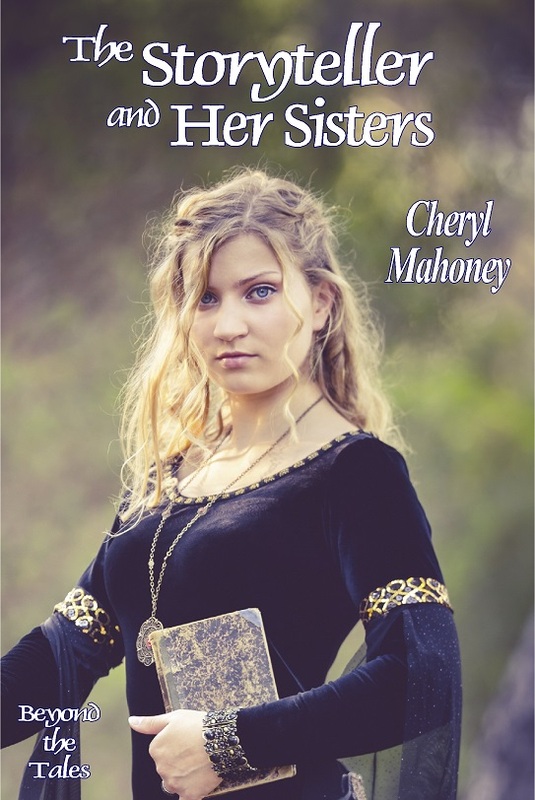 The Storyteller and Her Sisters is the second novel in my Beyond the Tales series–but it’s a companion novel, not a sequel. Readers of the first book already met Lyra and her eleven sisters (and know something about their worn-out dancing slippers), but the storyteller has much more to share–and new readers should have no problem starting with this book, if they prefer princesses to talking cats! I’ve made some updates to the Novel News tab too, so wander (or dance…) over there if you’d like to read an excerpt from Storyteller! Looks intriguing! Makes me want to see what tales she has to tell! I like that she’s holding a book. I’m excited about it coming out. Beautiful picture.